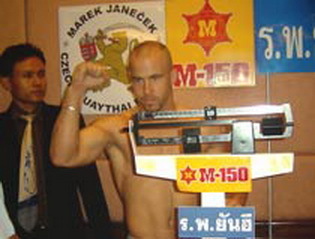 Kunsuk Petchsupapan (Thailand) Versus Michael Hansgut (Czech)at the S-1 2004 tournament. The 2 face each other in the final with the winner being declared winner of the tournament held in Thailand. ~ by fatsoking on February 25, 2011.